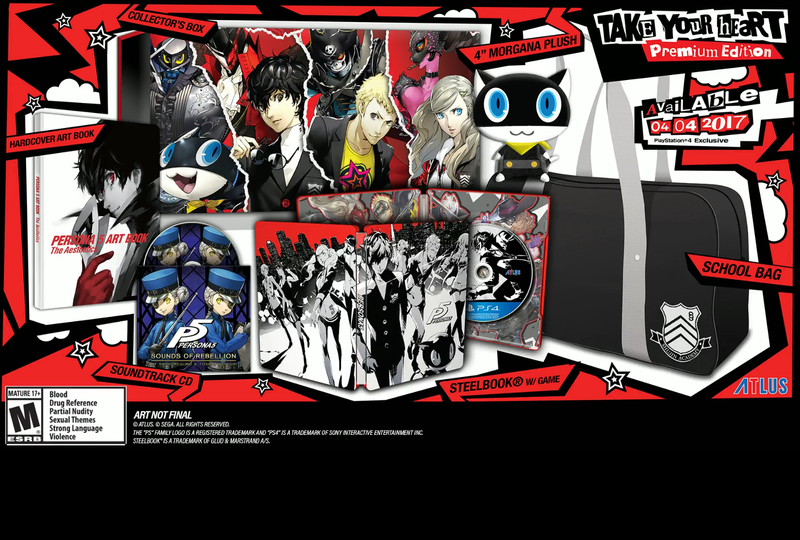 Earlier today Atlus announced on stream that Persona 5's western release date has been pushed back to April 4, 2017. Not all bad news today though as they also announce that Persona 5 will feature dual audio via DLC. The Premuim edition has also been updated compared to the preview we received earlier. Atlus will be streaming gameplay until around 2:30 PST for those interested in getting a sneak peak or the Western version of P5. Link to stream for those who are interested! Recent from It's Dangerous To Go Alone!